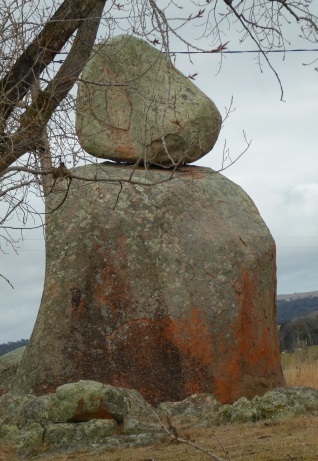 Located 12 kilometres south of Glen Innes, off the New England Highway, Balancing Rock is promoted as one of the sights to see in this area. However, while the idea of a rock balancing on a 300 millimetre point sounds pretty impressive, I found the actual sight a little underwhelming. Fortunately, you don't have to go out of your way to see the rock. 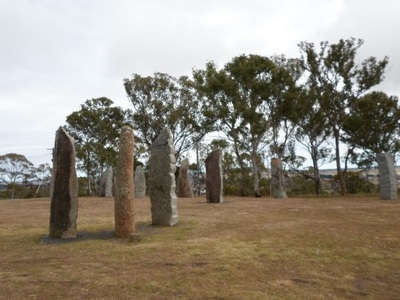 Only 150 metres from the highway, it's visible as you drive past and you don't even need to stop, though if you're travelling south from Glen Innes, there is a bay where you can pull over and take a longer look. While you're trying to find the right location, I recommend looking out for this bay and the Balancing Rock sign instead of the rock itself. On my search, I was looking up in the hills for a big formation and ended up driving right by it, as the formation at first looks like all the others in this particular paddock. However, the fact I visited the area in winter may have contributed to Balancing Rock seeming less impressive than I had expected. 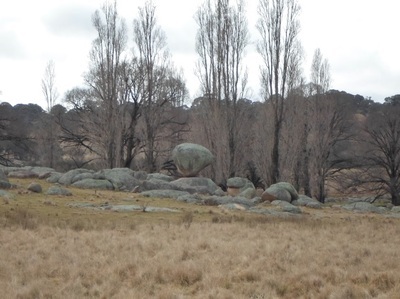 The whole landscape was made up of the same washed-out shades of yellow, browns, greens and greys (it continually amazed me how much the sheep looked like lichen-covered rocks), which caused the rock to blend into its surroundings. It may not do so as much during other seasons. 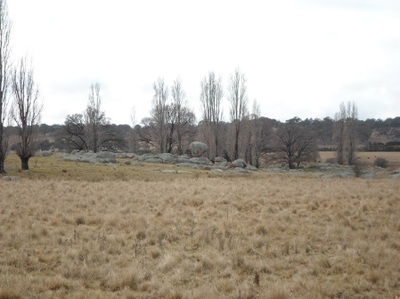 While it is by far the most impressive one around, there are also other interesting rock formations in the surrounding area, which is known as Stongehenge Recreational Reserve and was named after the granite outcrops on the plateau, which look a little like the real Stonehenge. 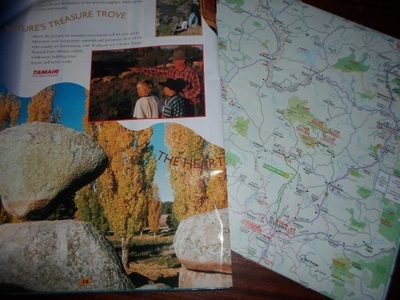 There is an entry to the reserve only a kilometre away from Balancing Rock. Still, while it wasn't as grand as I expected, the rock really does look like it should have rolled off its perch by now and it is worth looking out for if you're already driving in the area.